I have already done one cabinet decoupage. It’s one of my larger decoupage and furniture restoration projects. Here is another one cabinet decoupage in shabby chic style. As with the first cabinet, I have repainted this one, too. But, to attain the shabby chic effect, I have first rubbed the cabinet with a candle stick in a certain places. Then I have painted it green. Once the paint dried up well, I have scrubbed the cabinet lightly with the palette knife. It peeled off the bits of new paint and uncovered old dark one underneath it. 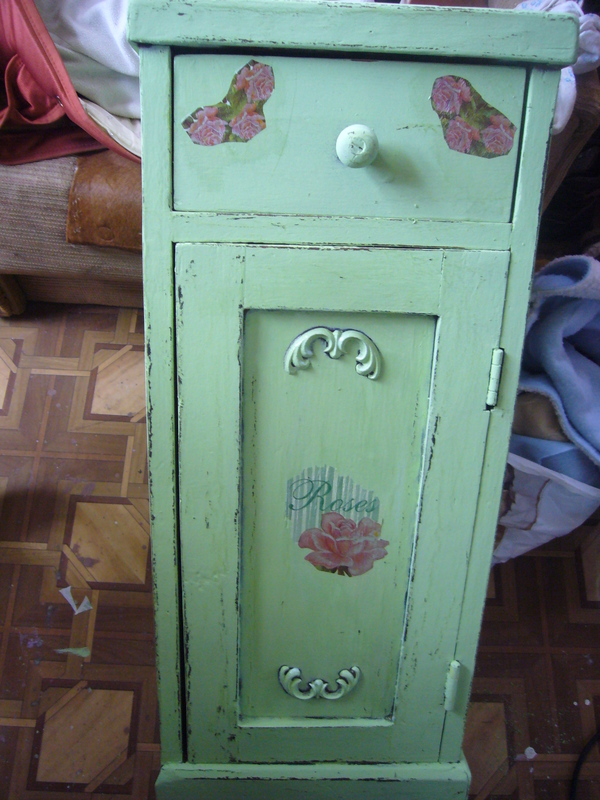 Then I decoupaged the cabinet with roses and covered it up with the transparent polish. 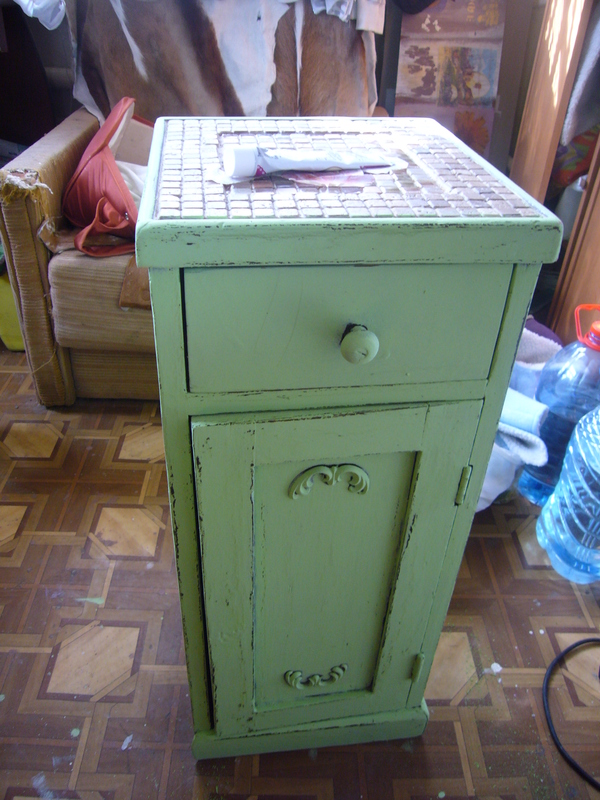 That’s my easy way to decouapge a cabinet in shabby chic style. This entry was posted in Decoupage ideas, Uncategorized and tagged cabinet decoupage, cabinet decoupage in shabby chic style, crafts, decoupage, decoupage how to, decoupage tips, DIY, furniture, furniture restoration, handmade, shabby chic. Bookmark the permalink.